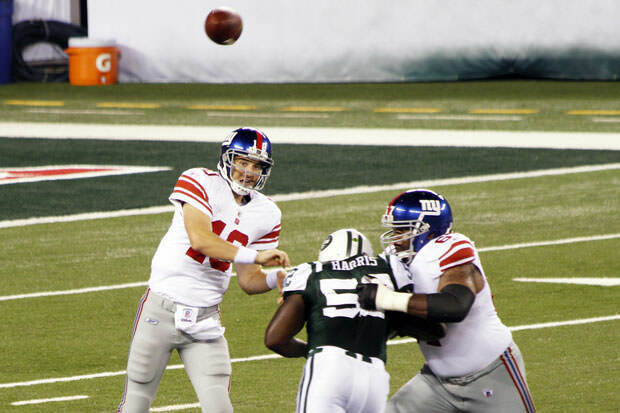 When New York quarterback Eli Manning orchestrates a game-winning drive late in the 4th quarter, no one should be surprised anymore. He has done it in two Super Bowls, and a couple dozen times in his career. And that’s just what he did on Sunday night against the San Francisco 49ers. Down four points with under two minutes to go in the game, Manning led the offense down the field and connected with tight end Larry Donnell in the end zone to give the Giants a 30-27 win. Manning posted a franchise record 41 completions on Sunday for 441 yards and three touchdowns. The Giants, who started off the seasons with two tough losses, blowing double-digit leads in both, have now one three in a row and stand atop the NFC East. The Giants have two big divisional games coming up, traveling to Philadelphia to play the Eagles on Monday night and then hosting the Dallas Cowboys the week after.